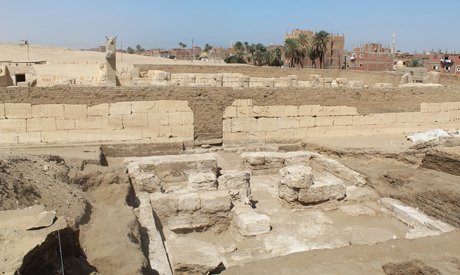 Excavation work carried out in Ramses II’s temple in Abydos, Sohag, has uncovered a new temple palace belonging to the 19th Dynasty king. The discovery was made by the New York University mission, directed by Sameh Iskander. “It is a very important discovery which will change, for the first time, the plan of the temple more than 160 years since its discovery,” said Mostafa Waziri, secretary general of the Supreme Council of Antiquities. The location and layout of the palace exhibits a noteworthy parallel to the temple palace of Ramses II’s father Seti I in Abydos some 300 metres to the south. During the work of the mission around the temple to recover the architectural elements south of the temple, Iskander told Ahram Online, the mission accidently stumbled upon a stone walkway at the south-western door of a temple. This walkway led to an entrance of a palace building that contains the cartouches of Ramses II. He explained that the walls are built of limestone and mud brick, the floors are made of limestone, and the temple’s second hall has a sandstone column base and lintels with inscriptions of the king. Other fragments decorated with stars were found. Ayman Ashmawi, head of the Ancient Egyptian Antiquities Department, stated that the temple foundation inscriptions have an extremely rare depiction of Ramses II’s cartouches. 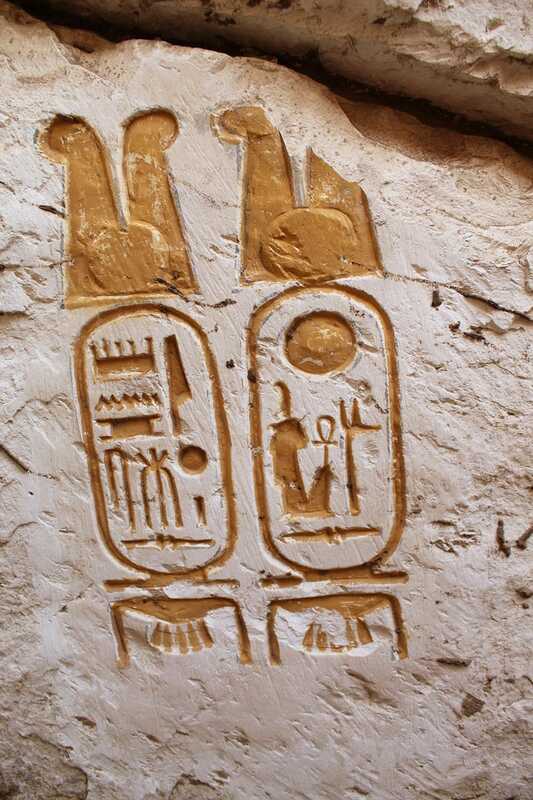 They appear on all four corners of the temple, showing Ramses II’s birth and throne names painted in a golden colour. They are surmounted with double feathers with a sun disk in between, and beneath them a decorative gold sign.